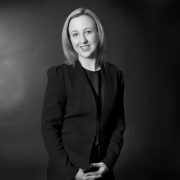 Megan Sanders is an experienced corporate, commercial and property lawyer adept in driving practical outcomes which meet her clients’ strategic objectives. Megan Sanders acts in a diverse array of matters including business structuring, sale and acquisition, commercial contracts, supply and distribution arrangements, finance and security, corporate advisory, regulatory compliance, franchising, intellectual property protection, commercial and reatail leasing, and property development. Megan has been a trusted advisor to public companies, SMEs, family groups and family run businesses, startups and high net worth individuals. Her clients operate across numerous industries ranging from healthcare to technology and software to real estate. Megan has also forged strong relationships with financial planners and accountants and regularly works in collaboration with her clients’ financial advisors to provide a seamless service. Whether setting up a new venture or resolving complex issues or disputes, clients value Megan’s methodical and down to earth approach and her easy to read documentation. In her spare time, Megan enjoys a good drop of red, getting outdoors with her family, renovation projects and travel.